you're a growing service-based business that now needs professional financial advice but can't yet afford a full-time CFO or controller. you're an existing business that's looking to replace an existing CFO and don't need an on-site CFO on a daily basis. We offer three different service levels, each with additional a-la-carte services that can be added on, so you only pay for exactly what you want and need. 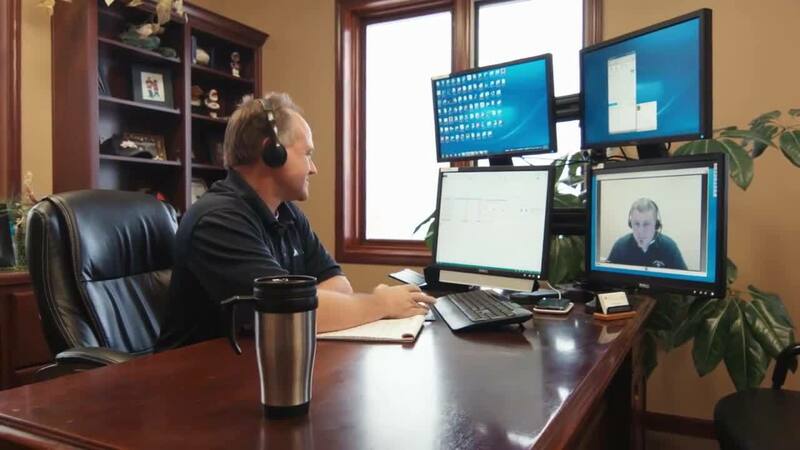 Our Virtual CFO service partners you up with a remote team of Accountants, CPA, and a Tax Partner who work with you to help guide your business to success. There is a lot of redundancy so nothing ever stops (even when someone is sick or takes a vacation). You’ll have one distinct point of contact, a project manager of sorts, which will enhance efficiencies such as time, money, and management. If you’re a growing service-based business that now needs professional financial advice, but can't afford a full-time CFO or controller, our Virtual CFO Services are a perfect fit. How much does a full-service Virtual CFO cost? The cost of hiring a full-time CFO can range from $175,000 to $480,000 per year plus vacations, bonuses and other benefits. Our Virtual CFO services provide you with the experienced strategic support you need, at an affordable fixed cost. 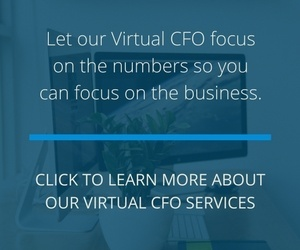 Our average Virtual CFO package costs $1500 per week (less than $80,000 per year). For a breakdown of our Virtual CFO pricing options, visit our pricing page. What do Virtual CFO services include? Service includes: bank relationships, weekly meetings, forecasting, company-wide KPIs, and much more. Our proactive Controller service partners you up with an experienced Controller who works with you to help guide your business to success. If you’re a growing service-based business that now needs professional financial advice, but can't afford a full-time Controller, our Controller Services are a perfect fit. Our Controller services provide you with experienced support for tax returns, strategic planning, accounts payable and receivable, and detailed forecasting---all at the fraction of the cost of a full-time Controller. We get into more strategic cash flow management and dynamic forecasting. If you're ready to scale, this kind of dynamic forecasting is a critical component of your future growth. For a breakdown of our Virtual CFO pricing options, visit our pricing page. Our Transactional service provides you with traditional accounting services such as preparing your monthly financial statements –including balance sheets, industry financial comparisons, and more. At this point, we're not just assisting you with tax returns, but also with more strategic planning. We're not just a team of bookkeepers and accountants. We're experts in laying a solid financial foundation to help your business accelerate.